BEES broadens its scope to ‘ BElgian Ecosystems and Society community’. Compared to ‘ecosystem services’, this covers the full range of debates and activities within the BEES-community. Ecosystem services remains a key concept, but issues like conservation, sustainability, natural resources conflicts and environmental justice often go beyond ecosystem services. 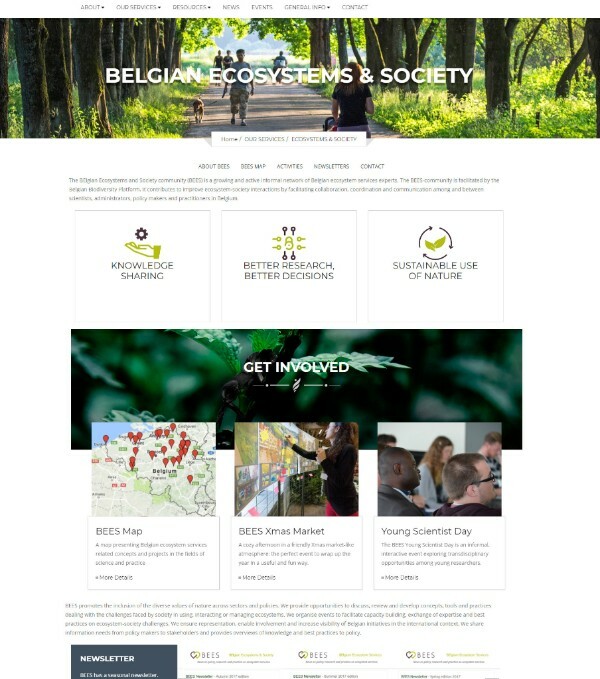 BEES is facilitated by the Belgian Biodiversity Platform and contributes to improve ecosystem-society interactions by facilitating collaboration, coordination and communication among and between scientists, administrators, policy makers and practitioners in Belgium. Last year, BEES worked on revising its mission and vision, and is now proud to present this on the brand new BEES website! The website displays immediate action points, paving the way for visitors to get involved via the BEES Young Scientist Day, the BEES Xmas Market or by putting a project on the BEES Map. The page also showcases past, current and future activities through the BEES Newsletter. BEES Fieldtrip & Barbecue on 9 May 2018 in the Zonien Forest near Groenendael. An enlightening morning walk through the Zonien Forest, with short 10 minutes pitches on urban forests, recreation pressure, nature conservation, wood production,climate and off course the combination in a complicated governmental context. Followed by a barbecue lunch at Groenendaal Castle at 1PM. BEES Young Scientist Day in October 2018 (date & location to be decided). Early carreer scientists from ecology, economy, political sciences, architecture, spatial planning etc. meet to debate ecology and society research and the links with policy and practice. See an impression of the 2017 edition here. Registrations will open after summer, and more information will follow. BEES Xmas Market on 18 December 2018 in Brussels. The fifth edition of our main BEES event, gathering people from all the Belgian regions and from research, administration, business, ngo’s and policy. Some impressions of previous editions here or in th next point. Don’t miss it!! Registrations will open after summer, and more information will follow. Please contact bees-secretariat@biodiversity.be for more information, or visit the brand new BEES website on www.biodiversity.be/bees. 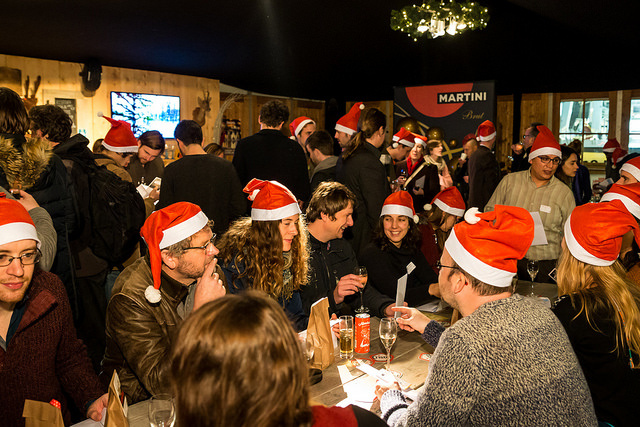 The last edition of the BEES X-mas Market took take place in Namur on 12 December 2017. To really get a feel how nice it was, check out the pictures! From the feedback, we learned that the diversity of stands, the workshops and especially the networking opportunities in a nice atmosphere were again highly appreciated. So we’re all enthusiastic about a next market! The 2018 Market will be different, yet again aiming at the same result: bringing people together and improve cooperation between disciplines, regions and institutes on nature-society interactions in their broad sense. 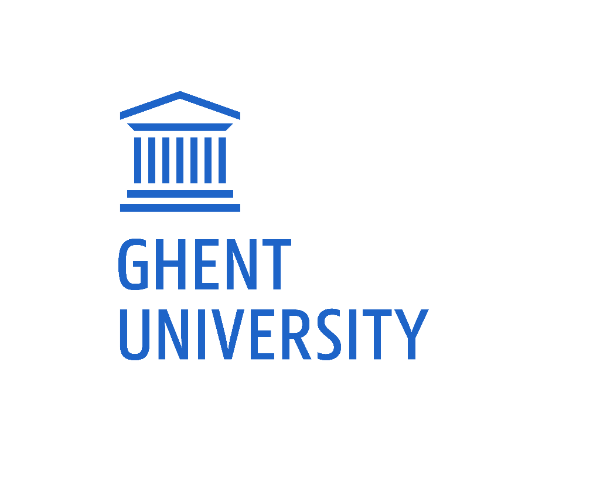 University of Ghent organises an evening with inspiring talks from scientists who travelled on the road between ‘Planetary Boundaries’ and ‘Sustainable Development Goals’ towards feasible local solutions. There will be keynote presentations by Johan Bouma, Eric Davidson and Johan Rockström (honorary doctor at UGent) and reflections by stakeholders. 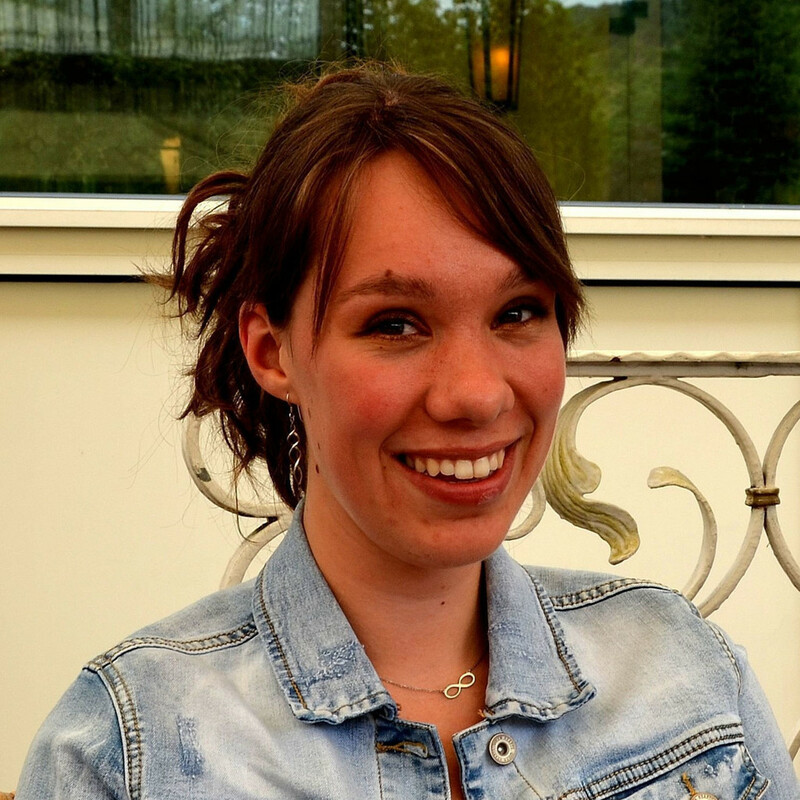 Debate moderator will be Tina De Gendt. Register before 15 March 2018. When? 22 March 2018 at 7pm. The Belgian Community of Practice on Ecosystems & Society unites researchers, policy makers and practitioners to learn from each other. Many of us are active, be it through involvement in local projects, in policy or through research. To stimulate exchange and mutual learning, one of BEES member suggestions was to create a map with all case studies on ecosystem services or related issues in Belgium. And well, here it is! 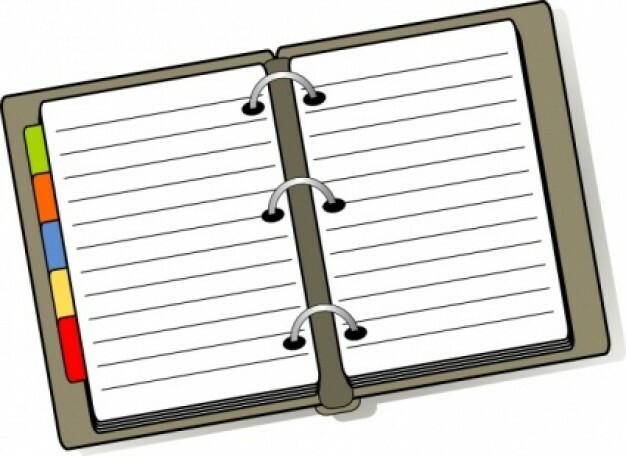 You can add your case through this form. Just takes a minute! Please don’t hesitate to contact the BEES secretariat for any question or suggestion! What are the challenges you face in your research? My first task is to use Remote Sensing technologies (mainly satellite data) to create precise qualitative maps of the Walloon forest. My second task is to use a multi-sensor approach to characterise our forest in a quantitative way with a very high spatial resolution. We will try to evaluate parameters (height, volume, density…) of some tree species based on Remote Sensing data. We would also like to use time series to detect forest changes like holes. For the moment, I have to face different problems that are typically encountered by researchers at the beginning of their thesis. Furthermore, I work for a EU Interreg Big Region project "Regiowood II". So I have to integrate different visions of actors and communicate with foreign partners from different horizons. What has BEES brought to you? I discovered BEES as I began with my PhD and participated in the YSD2017 in Ghent. For me BEES is the perfect opportunity to exchange with experts in the management of the environment in Belgium and contextualise my work. I like to keep up to date with current developments in the field of Ecosystem Services and what is concretely done in our country. I also hope that this kind of networking may help me develop my thesis and give a clear direction to my professional life. What about Ecosystem Services in the future? I believe that new technologies like Remote Sensing can help people to characterise the environment at a new scale and with information that our eyes can’t catch. The monitoring of ecosystems is necessary for a sustainable and multifunctional management of natural, semi-naturel and urbanised area. An integrated reflexion about future services of ecosystems is a new challenge for our generation. “BEES Newsletter” is published whenever the need arises to inform the Belgian Ecosystems & Society community on new developments in ecosystem services research, practice and policy-making. The BElgian Ecosystems and Society community (BEES) is supported by the Belgian Biodiversity Platform. If you wish to subscribe/unsubscribe to the BEES Newsletter, please contact us.